Traditionally, a plumber would use a cable machine to snake your drain. This method has proved to be not very efficient as the clogs return within a short few months. One of the reasons that this method does not work, is there is no way to get to the root cause of the drain blockage. Over time the build up process continues and you end up with the same problem. Hydro Jetting uses a special high-powered water jet stream to flush out your drains, making them exceptionally clean. 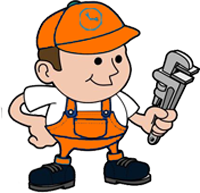 The hydro jetters used by Melbourne 24 Hour Plumbing local plumber have the ability to deliver water at incredible cutting force under thousands of pounds of pressure per square inch. Hydro Jetting will remove the debris that has accumulated in the drain over the past months and even years. You are left with a drain system that is functioning as it should be, clear of debris and waste build up. Further benefits of Hydro Jetting is that it is so powerful, it can even remove tree root debris that has gotten into your sewer pipes. With hydro jetting technology the tree root debris is completely removed and you are back to having a clean sewer drain quickly. Many restaurants require Hydro Jet drain cleaning. Grease builds up very quickly in restaurants. In some restaurants, a sewer line can become impacted in 3 months with grease causing the bar area to flood and the floor drains in the bathrooms to over flow with sewer water. Hydro Jet drain cleaning is one of the most effective options when it comes to grease blockages. The hydro Jet drain-cleaning machine is a truck or mounted on a trailer that is powered by an engine. The machine pressurizes water to roughly 4000 psi through a hose with a special nozzle attached that scours the inside of the drain pipe removing the build up of grease and debris that have formed inside the drain pipe. When the cleaning nozzle is inserted into the drain it slowly breaks down the grease so that it can safely drain into the sewer system. Its important to have Melbourne 24 Hour Plumbing hydro jet your restaurant or bar every 3-5 months to keep your establishment operating without any plumbing interruptions. There are times when hydro jetting does not work. This can occur if there cracks in your sewer and drain pipes. Cracks in the pipes are a sign that the strength of the entire system has been compromised and needs to be repaired promptly before completely collapsing.